Right-handed pitcher Dan Straily was released Monday by the Miami Marlins, who will give him $1,209,677 in termination pay rather than his $5 million salary. The 30-year old was 15-15 in two seasons with the Marlins, who acquired him from Cincinnati in January 2017. He was limited to 23 starts last year, when he went on the disabled list twice because of forearm and oblique strains. Straily had a 5.94 ERA over 16 2/3 innings in five spring training appearances. He is 42-36 with a 4.23 ERA in seven major league seasons. 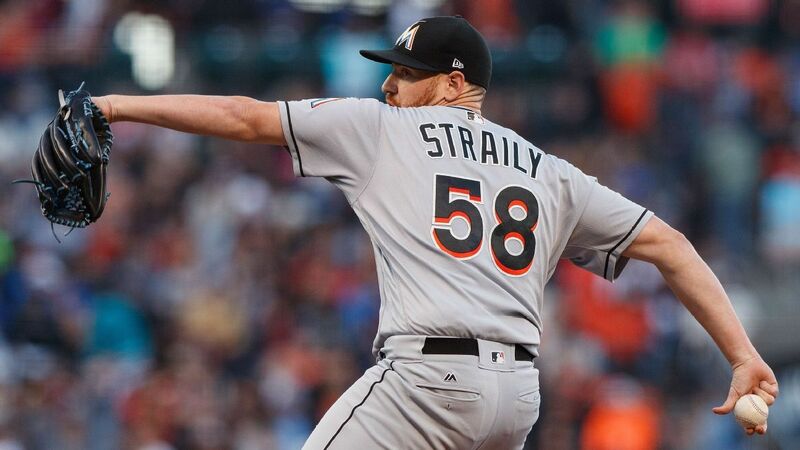 Right-handed starting pitcher Dan Straily was released by the Marlins on Monday.